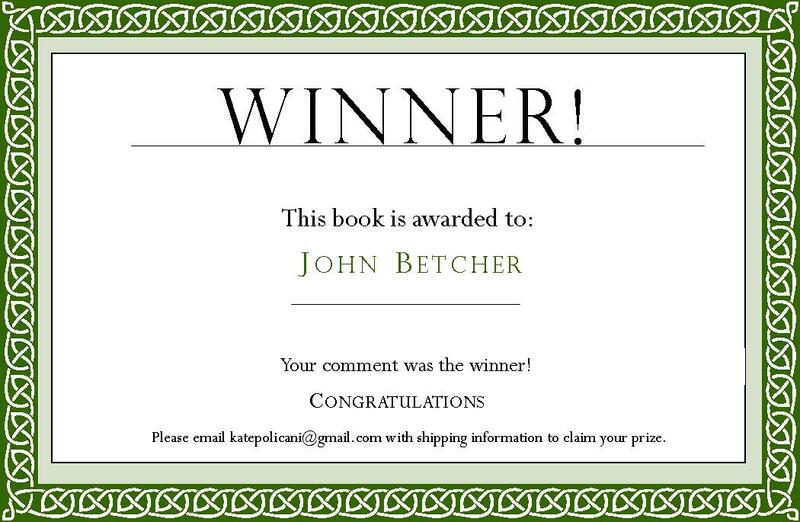 Congratulations, John Betcher! You’ve won the book giveaway! Well done! Congratulations! If it isn’t your type of thing (although hopefully it is) feel free to give it to someone you think might like it. Thanks for commenting. Hi Kate, John has just sent me his address as a DM on Twitter. I am about to leave the country so will be able to post it when I return. Thanks. Awesome! Have a great trip.